The SoM-9G25 is a versatile ARM System on Module (SoM) targeting applications that require low power, low cost, and embedded longevity. Designed and Manufactured in the USA the SoM-9G25 is the ideal choice for Industrial IoT solutions. 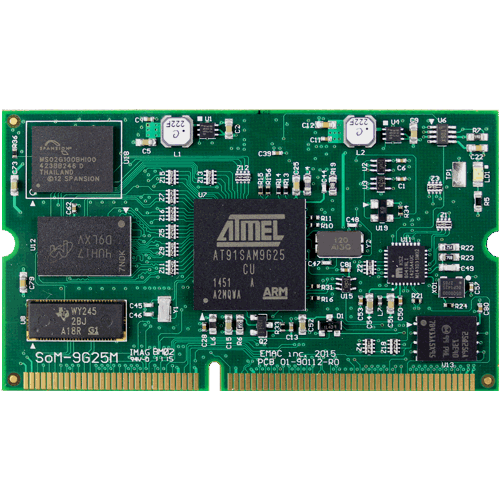 The SoM-9G25 uses an ARM based Atmel ARM9 AT91SAM9X25 processor and comes with up to 128MB of onboard DDR2 RAM, 8MB of Serial Data Flash and up to 512MB of NAND flash. With an industrial temperature range of -40 to +85C the SoM-9g25 provides GPIO, Serial Ports, SDIO, Ethernet, A/D, SPI, I2C, PWM, USB Host & Device Ports and I2S Audio Line In/Out Ports. 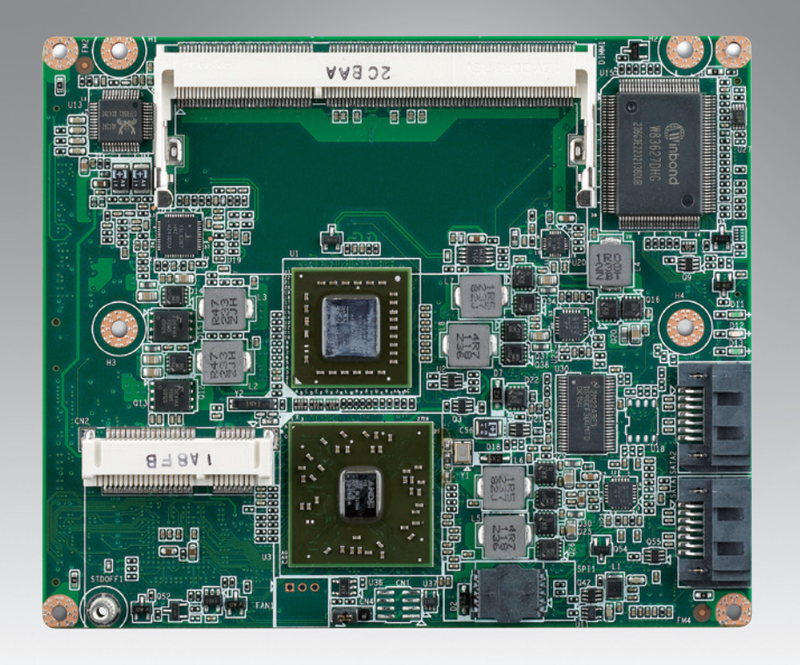 The SoM-100ES is versatile SoM Carrier/Socket board ideal for evaluation and early development work. 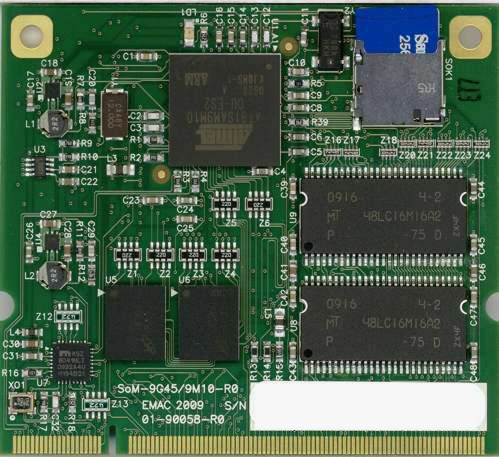 This Carrier is designed to work with all EMAC 144-pin SODIMM type SoMs. Note: While this Carrier will work with the SoM-9260, it is recommended to use the SoM-150 in order to get full utilization of the SoM-9260 module. The SoM-100ES provides access to all the SoM's I/O through on-board connectors as well as a number of additional I/O expansion blocks such as A/D, D/A, Digital I/O, Modem, and MMC/SD flash disk. Full schematics of the SoM-100ES are provided giving the user a solid base with which to design their own SoM Carrier. 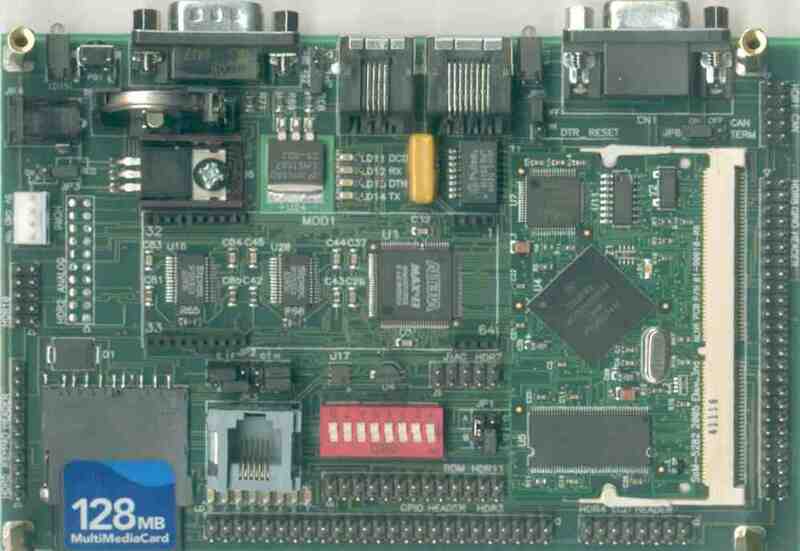 Schematics of the SoM-100ES are included on the CD provided with the Carrier board. Although a good deal of customers will want a Carrier that is unique and is designed specifically for their application, the SoM-100ES when coupled with a SODIMM SoM makes for a powerful Remote Data Acquisition and Control system with Modem and Ethernet capabilities. This allows the user to gather data and respond with Control commands via the Internet. An Enclosure and Power Supply are available options for the SoM-100ES.